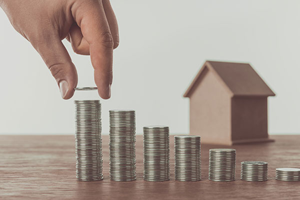 Despite the growing number of low and no-down-payment mortgage loans, it seems most American renters still think they need at least 20% down to buy a home. According to the recent Borrower Insight Survey from Ellie Mae, a whopping 48.6% of renters think they need to put 20% or more down on a home purchase. Another 40.4% said they need 4-19% down. Fortunately, renters’ assumptions are far from accurate. The 20% down idea is just a myth, and thankfully, there are plenty of options for buyers without a ton of savings on hand. Though the 20% down myth has been around a while, there are actually a number of low- and even zero-down-payment loan options on today’s market. FHA loans, for example, allow for down payments as low as 3.5%, while some conventional loan programs offer down payments of 3-5%. For veterans and military service members, VA loans offer mortgages with zero down payment altogether. Misconceptions about down payments may be what’s keeping many Americans renting despite ever climbing rent prices. According to the survey, 36.1% said they don’t have enough saved to buy a home. For millennial renters, that share jumps to 56%. Considering a new study shows millennials will spend nearly $100,000 in rent by the time they’re 30, clearing up these myths and educating today’s renters on the home buying process is key. Surprisingly, the largest share of mortgage-ready millennials lives in expensive coastal cities. These cities often attract highly skilled workers who demand higher salaries for their expertise. These cities also tend to have much higher living expenses and real estate prices. However, down payments aren’t the only thing that renters are mistaken about when it comes to home buying. According to Ellie Mae’s survey, more than 65% of renters think they need a 700 credit score or higher in order to qualify for a mortgage, while 17.3% of renters think they need a score between 650 and 699. In reality, most lenders require a score of just 640. FHA loans typically require a 580 score or higher, though borrowers with scores under that aren’t excluded — they’ll just need to make a bigger down payment. Generally, however, the more you put down on a home, the better negotiation position you have with the seller. Give us a call! We’d love to answer all of your questions and assist you in purchasing or selling your next home. Remember, at any price in any neighborhood, The Robinson Team sells homes!